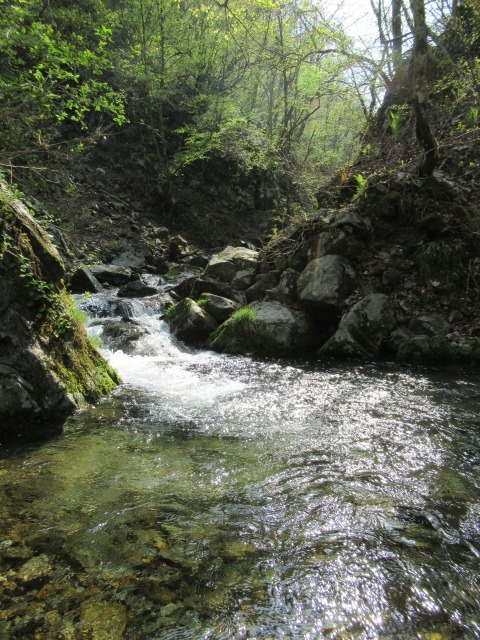 We went into deep in a mountain for more wild plants. 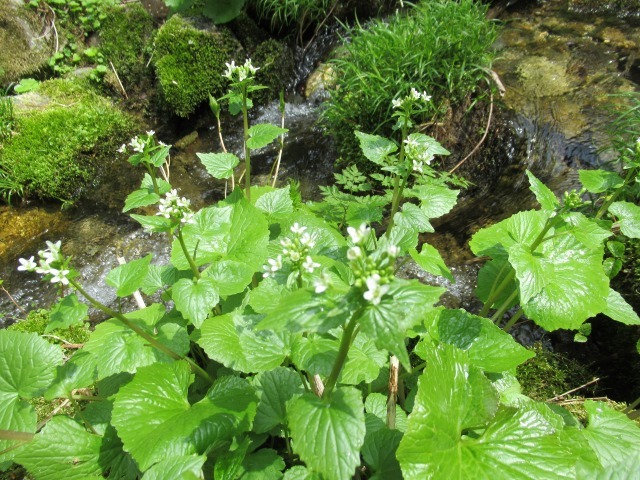 Wild wasabi flower was blooming along the clear stream of water. 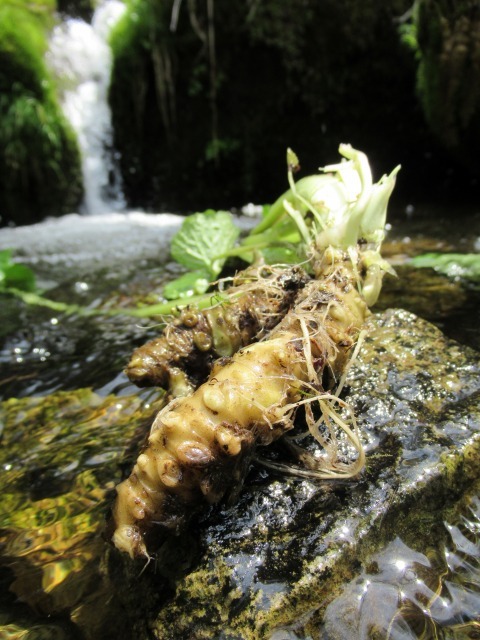 The master said that Spring is not the best season for wasabi roots. 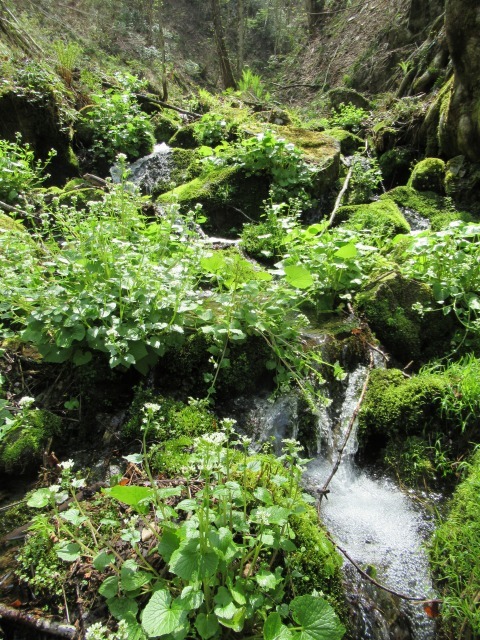 Winter is the best season for wasabi that has rich aroma, but it will be very difficult to climb up the mountain this far because of the snow. Wasabi stem, leaves and flowers are used for appetizers and salads on our menu.